April 2016 - Humanities IDEAS: Inclusion Diversity Equality Acceptance Solidarity For All Humanity ! A Library in my area is having an Altered Book Workshop. I was thinking the Workshop was Restoring Old Books. 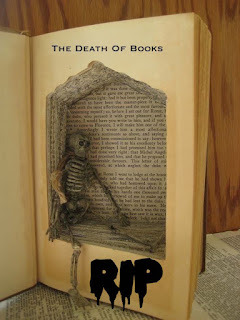 I was Traumatized to learn they are Killing Books! Here I am; Intellectually Starved, unable to find reading material, and books are being Demolished! Such an atrocity! I Googled, Altered Books and was stunned to learn this is an epidemic. In my opinion, Altered Books are nothing but the equivalent to Burning Books, merely disguised in the name of Art. Alternatively; we could collectively contribute to recycling by using store ads, catalogs, old telephone books… to transform into Altered Art.